HELLO! Welcome to the tri-county area! I am a native! That means that I was born and raised here and have lived in Wetumpka, Al for 40+ years! I LOVE, LOVE, LOVE this town and you will, too! Through the years I have witnessed many changes to our area. One thing that has not changed is the community spirit and family atmosphere! Anywhere you go, you will be welcomed with big, bright smiles and friendly greetings! Sometimes, it may be a "Roll Tide" or a "War Eagle"! We are a very friendly and accepting community. Wetumpka is known as the "City of Natural Beauty". And for good reason. The city is split by the beautiful Coosa River where you can enjoy kayaking the rapids, feeding the ducks at Gold Star Park, boating, swimming and fishing. Our quaint downtown has been approved to be a Main Street community and there are plans for downtown revitalization. Come check out Wetumpka or any of the surrounding areas- Millbrook, Prattville, and Montgomery.. If you enjoy the water, there are 2 lakes 10- 20 minutes away- Lake Jordan and Lake Martin! Bought a Single Family home in 2016 for approximately $175K in Wetumpka, AL. If you want a smart, professional, honest and kind realtor to help you find your dream home then you better call Cathy Thornton. My husband and I couldn't have been more pleased with her. She knew exactly what she was talking about and if she didn't have an answer for you right then she would get on her phone and call someone that did have the answer. She is the best! Sold a home in 2016 in Speigner, Deatsville, AL 36022. Cathy is awesome! Being a local girl she knows Elmore county like the back of her hand. Extremely knowledgeable, very prompt at returning calls and always available! 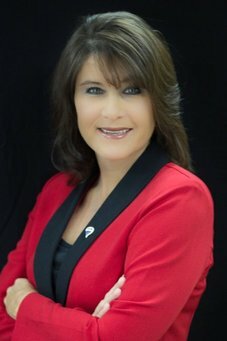 Best realtor I've ever worked with! Sold a Single Family home in 2016 for approximately $350K in Wetumpka, AL. I cannot say enough good things about Mrs. Cathy! She listed our home and within 3 weeks, our house was sold! She was always available to answer any questions and helped make the selling of our first home and easy process. I would recommend Mrs. Cathy to any and everyone who is thinking about buying or selling a home. She really is the best! Listed, but didn't sell my home in 2015 in Blue Ridge, Wetumpka, AL 36093. Cathy was very comfortable to work with and went out of her way to keep us informed on the market. She was very knowledgeable of the area and was very willing to have open houses. If the need ever rises again we would definitely ask Cathy to be our realtor. Showed home in 2015 in Santuck, Wetumpka, AL 36092. Mrs. Cathy was very helpful when it came to buying my FIRST home! She listened to my needs and only showed me houses that fit the certain criteria I was looking for. If I found a house I wanted to see, she was always available to show it to me and was very easy to get in contact with. Mrs. Cathy made the home buying process less stressful by answering all of my questions in a timely manner and in a way I could understand them. I would recommend her to anyone looking to buy a house and wanting someone with professionalism and knowledge! Thank you again and I hope to work with you again in the future!!!! Sold a Single Family home in 2015 in Wetumpka, AL. Very professional. Selling a home is a very stressful situation and Cathy makes a home owner feel at ease and comfortable during the process. I would highly recommend her. Sold a home in 2015 in Speigner, Deatsville, AL 36022. She was very professional and knowledgeable. She knows Elmore County like the back of her hand. Always accessible and very helpful. She's the only realtor I would consider! Sold a Single Family home in 2006 for approximately $25K in Clanton, AL. Cathy Thornton is an experienced realtor with an extensive knowledge of the local area. She will work hard to find exactly what you are looking for! Very professional!